So you’re the “BEST MAN” ey? What a privilege, but with great honour comes great responsibility. 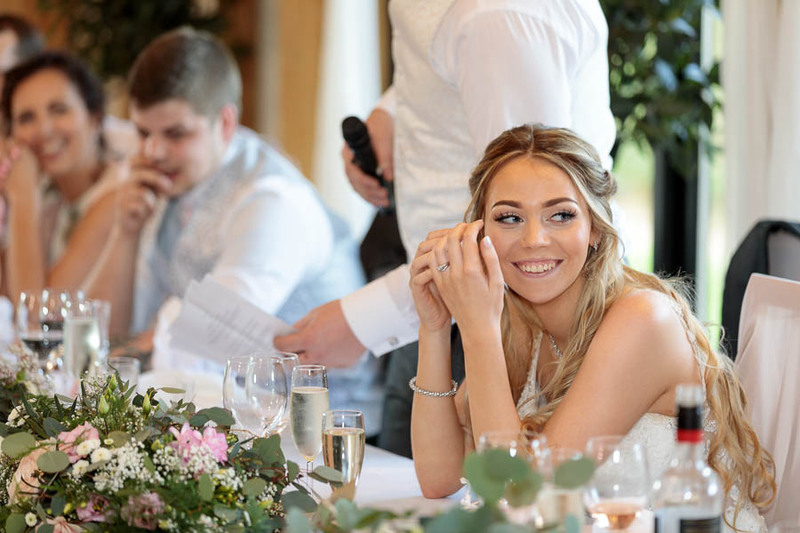 We could tell you lots of wedding horror stories where the best man speech went terribly wrong – but we don’t want to scare you (too much 😉 ) – so here’s our guide to nailing that best man’s speech at your friend’s wedding, so much so that you’re carried out from the wedding breakfast on wedding guests’ shoulders to praise and rapturous applause! 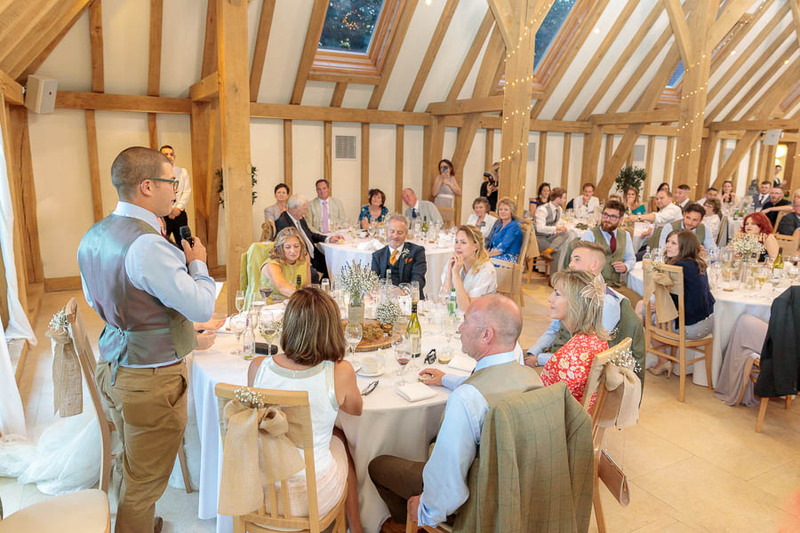 This is part two of our three part series on the Wedding Speeches and Toasts during the Wedding Breakfast – jam-packed with tips & tricks to help you nail that speech. 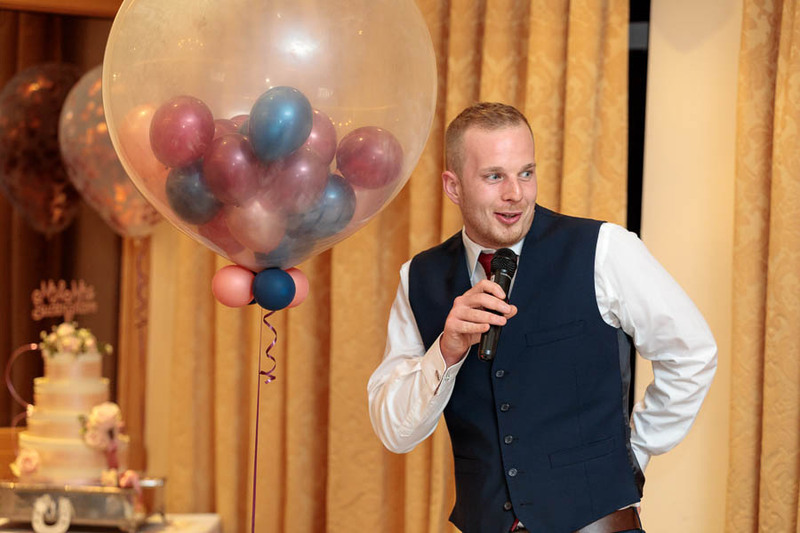 So you want to deliver the most awesome best man’s speech of all your friend’s weddings? Or even if your goal is just not to deliver a terrible one, we’ve got you covered with our guide below to nailing your best man’s speech. How Long Should The Best Man’s Speech Be? First of all, the speech can’t be too long. We can’t stress this enough. Even the most awesome speech can be gutted in memory by it going on too long. Most wedding industry professionals agree that 10 minutes is the maximum you should be aiming for, any more and you’re going to lose the audience. We’re also reminded of the speech writer’s maxim that anything important you have to say should fit on one side of A4 paper, and anything more than that can’t be as important. Short and sweet is the aim of the game here, check out our last blog post on how long it should be. 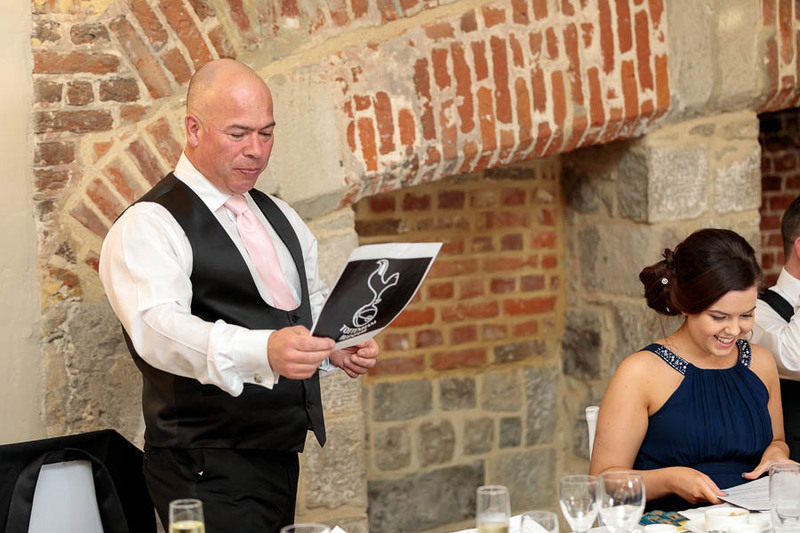 CLICK HERE FOR PART ONE – How Long Should A Wedding Speech Last? With the above in mind, really you can consider this the most important part of this blog post – so if you read nothing else – read this! DO NOT – have your speech on your phone or tablet and read from that. Honestly, you may be a 21st century digital boy/girl and ofay with all the toys – but we’ve lost track of the number of times speeches’ flows have been destroyed by locking screens, frozen devices, or constant notifications ruining the delivery. Also, and we can’t stress this enough, you just look ‘weird’ to 90% of your audience who (rightly or wrongly) are judging you for not being bothered to have printed your speech on cards or paper. DO NOT – stare at your speech and read from it like it’s the first time you’ve seen it. (We’ve got some killer tips for avoiding that below). DO NOT – look like a rabbit caught in headlights. We’ve all seen it, the wedding speech that comes across like a scared confession at the end of an episode of Black Mirror. It doesn’t really suit the festive occasion and is usually down to lack of preparedness, and once again our tips below will sort this right out for you. The biggest advice we can give you to avoid all of the above is to rehearse your speech. And yeah, we know right now you’re saying: “well duh!” but it goes further than that. The following technique is a brilliant way of solving all of the above problems as well as the timing problems. Firstly, you’ve got to start from the beginning and go all the way to the end, no matter what mistakes you make, each and every time. This comes from the world of practicing music where if you fail to do this you’ll end up knowing the beginning of the piece extremely well, but the ending will be nowhere near as well rehearsed or good when performed live. You need to practice all of the piece every time. This also means that you’ll get used to making mistakes, and carrying on through them. Mistakes, interruptions, heckling, and any manner of problems can and will happen during your real speech – and so by practicing each time, going through the mistakes, you’ll get used to this and it will be much less of a problem for you. (We’ve all seen the speeches where there are huge moments of awkward silence as the best man or father of the bride need to compose themselves after a big stumble). Furthermore, you’ll end up refining your wedding toast as you go. We often write things down far differently to how we speak, both with the words that we use – and also the emphasis and rhythm in text. You know those speeches that come across ‘clunky’, and ‘reading out loud in school assembly’, well this is why. You can have the most killer best man speech in the world, but delivering it poorly will gut it of all the humour. By speaking it out loud many times, you’ll naturally change and adapt the words and the content to suit live performance. Practicing your best man’s speech out loud to an empty room means you can learn your speech far better, and even if you don’t know it off by heart, we can guarantee after a few run throughs you’ll know more than enough to prevent you just staring at your cards/paper – allowing you to engage with the audience far better. The final reason this tip is a killer way to nail your best man’s speech, is down to the fact we’re very consciously making you speak out loud to an empty room. Not to a reflection in the mirror (a beginner’s mistake), not sitting down, not to a blank wall, in a situation far more like the one you’re going to face at the wedding breakfast when you give your speech for real. By rehearsing in exactly the way you’ll be presenting (standing up – in an open room) you’ll be as close to ‘firing in anger’ as you can get. The only difference might be the size of the room, and of course the people in it. But short of hiring a few dozen pretend wedding guests to practice to, this is the best method of practice by far. 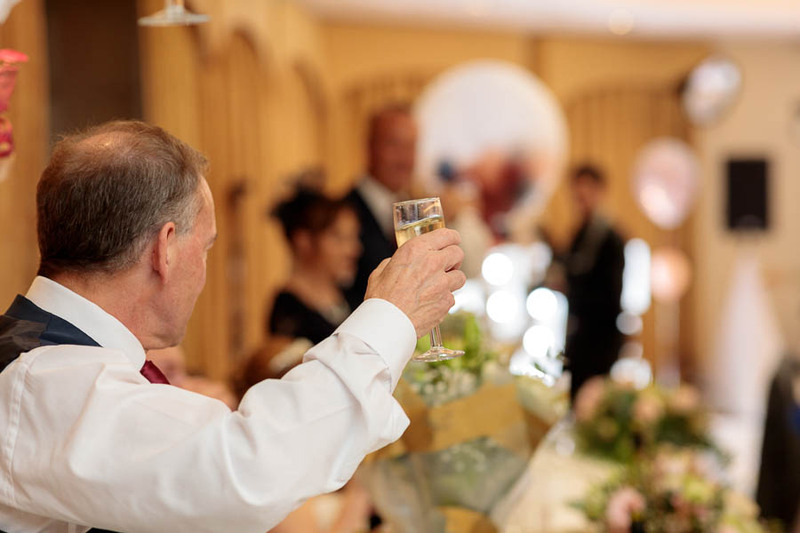 The aim of all the above is for your wedding toast to be rehearsed in such a way that the delivery will not be mechanical – but actually lively and engaging to the audience. 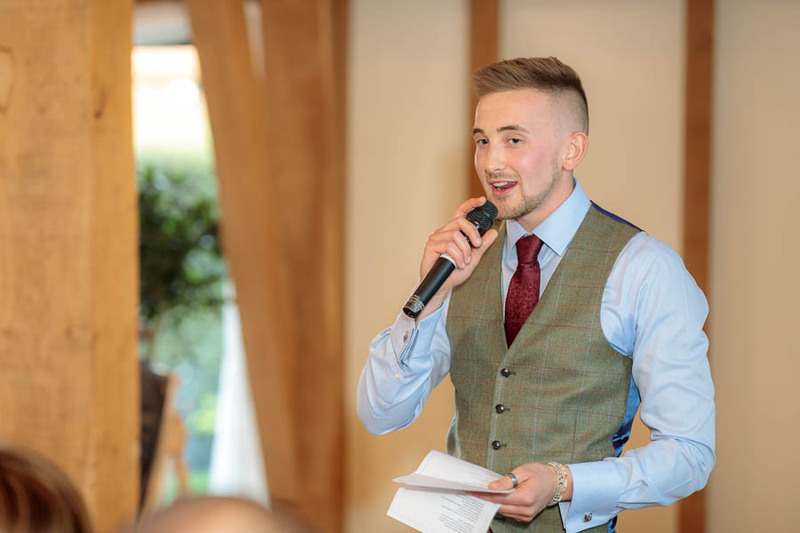 Removing the barrier of nerves that come with lack of rehearsal, unfamiliarity with the material, and stage fright – you’ve got a chance for the amazing best man’s speech you’ve written to hit a home run. Your audience want to hear about the groom, and any funny awesome stories about the groom will always go down well, but if you follow that too far and end up talking about long stories where, whether you realise it or not, ‘you had to be there’… Then you’re treading on thin ice. If your best friend and partner have taken our advice from past articles, they won’t subject you to a hungry, sober, and therefore hostile audience. They’ll have planned time at the end of the wedding breakfast for the wedding speeches when the wedding guests are nicely merry, with empty plates and full bellys (and maybe more than a few glasses of wine finished off). CLICK HERE TO READ MORE – about planning the perfect wedding day! 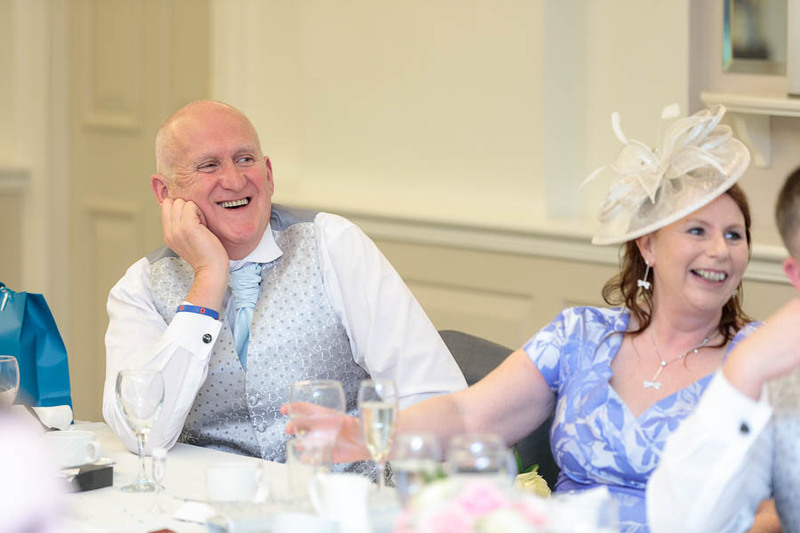 Take advantage of their good mood and get them onside early by sincerely thanking the bride & groom as well as their families, for the amazing wedding day they have paid for and invited everyone to. Call out friends and groups in the audience but be aware your ‘banter’ can be a double-edged sword as your funny quip about the workmates taking advantage of the free booze can quickly turn into an invitation to heckle! So keep this part short and sweet. The Stag-do taking up 90% of the speech (incredibly detailed and filthy – but ultimately unfunny or uninteresting for anyone who wasn’t there). Mentions of Bride or Groom’s smoking or recreational drug use (unless you are 1000% sure their whole family knows – and are 100000% sure they’re fine with it). Me, Me, Me… (For example: Talking mainly about yourself and your fight with drug addiction, where the groom only makes a cameo appearance at the end of your speech). “A best man’s speech shouldn’t last longer than the groom’s performance on the wedding night – so I’m Done…”. Hahahaha, no. Number 1 overused joke in best man speech history by far. The Bride & Groom insisted on having a look through my best man’s speech and cutting anything too lurid or embarrassing from it. So that’s the end of my speech and let’s hear it for the happy couple!” If this is the start of your speech, people will hope you are being serious! There are many variations of the above, so be careful. As we’ll mention below, pages 1-5 of google and youtube are not your friend! Of course you should include embarrassing (yet redeeming and harmless) stories of the bride & groom and in no way should you let the groom off the hook from some level of gentle ribbing, but avoid any overly aggressive or devastating material! Indeed, the best tactic is to mould talks of the groom’s embarrassing and funny past into a story of what a no-hoper he was until he met his bride-to-be. Even if it’s not true this can create a narrative of the ‘rags-to-riches’ story of the groom that can forgive you mocking the groom too harshly. If those stories include lurid and explicit details, make sure to allude to them subtly – rather than painting a picture with words. Indeed, the true art involves having the audience imagine filthier things in their mind than what you have actually said and calling them out for their filthy minds rather than any of the innocent things you’ve been talking about. This is premier league best man’s speech territory right here. Also, by having a narrative, you can easily incorporate a story into your speech (above’s ‘rags to riches’ idea), which can make it far easier for your audience to follow along. Too many wedding toasts mess up because they are just a long string of random anecdotes and jokes, that eventually lose the audience. By having some form of narrative you can take your audience on a journey (preferably amusing, with ups and downs) which keeps them engaged until the end. The icing on the cake is if you can finish your story with a moral related to the bride & groom – if you can achieve this without googling it, you’ve nailed your best man speech. This narrative could include, for example, the groom before he met his bride-to-be, how he met his fiancée, the effect this had upon the groom (and his friends), and the true love story that spat him out a better man the other side. 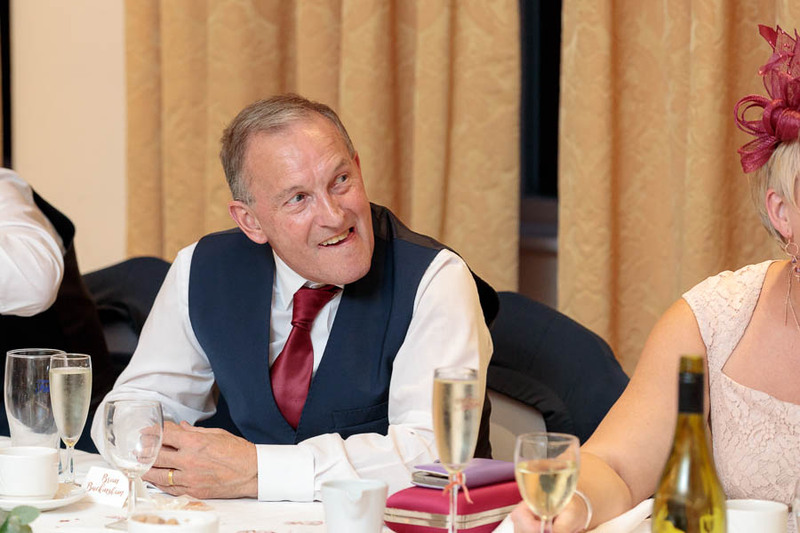 As mentioned above, if you can throw in cheeky jokes and ribbing along the way, calling out key characters in the audience, and then ultimately end of a funny but sweet moment – YOU’VE JUST NAILED YOUR BEST MAN’S SPEECH. Alcohol. Traditionally the best man doesn’t drink any alcohol until he begins the speech. 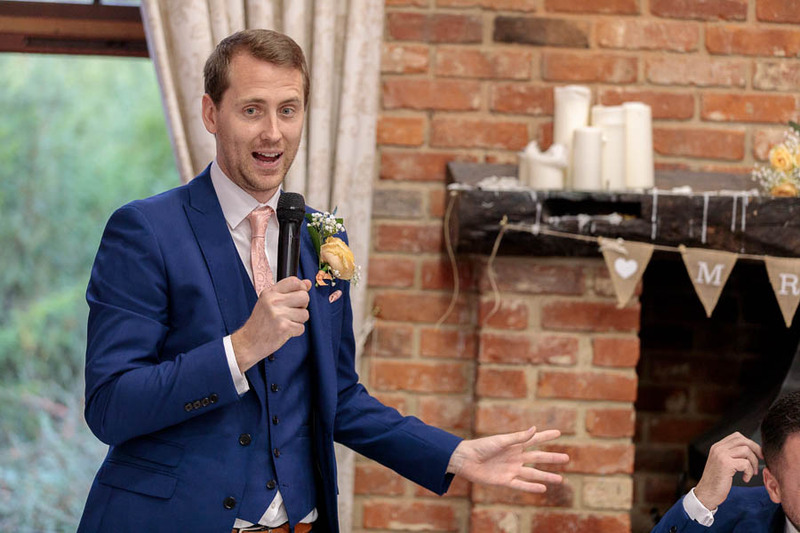 Actually, one of the funniest speeches we have seen involved the best man mentioning this, stating he needed to catch up, before embarking on a whistle-stop tour of toasts to make the audience drink along with him. It was a bit funnier and more clever than we’re making it sound, but trust us – it was legendary. When in a hole, complimenting the bridesmaids is the best way to get back on-side. By its very nature, the best man’s speech is a risky endeavour where you’re pushing the boundaries. If you stray too far into enemy territory and get shot down, a few cheers, compliments, and toasts for the bridesmaids are your ace-in-the-hole.